Just 365 days till the 2008 Election and for some it just couldn't arrive any sooner. G.W Bush was barely half way through his 2nd term when all talk was about who would replace him. Romney, Hillary, Obama, Giuliani that's all you'll be hearing about for the next year. Lets go back to the classic Eisenhower vs. Stevenson Presidential bout from 1952. Adlai E. Stevenson was the Democratic Nominee but lost the presidential election to Eisenhower 442 to 89. 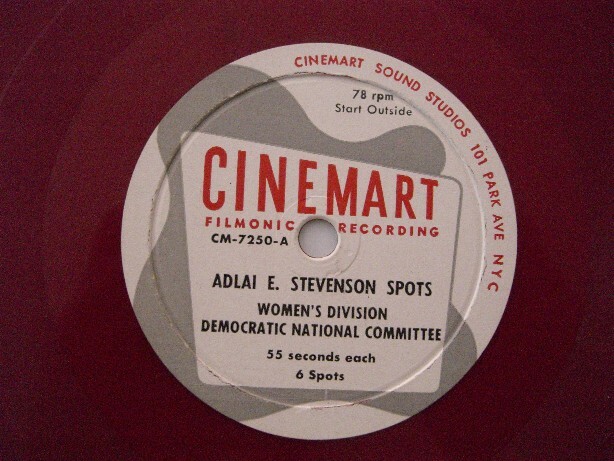 These tracks 'Adlai E. Stevenson Spots' + 'Songs Parodies & Jingles' were issued on two red vinyl 12 inch 78 RPM on Cinemart Filmonic Recording for the Women's Division Democratic National Committee. Remember to Register to Vote in 2008.
i really like that governor of illinois ditty! 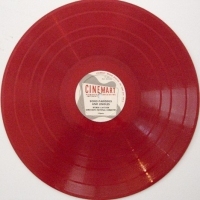 very boogie woogie blues like i'm hep i'm hep!! !like wow! dig? Yeah thats my fave as well. 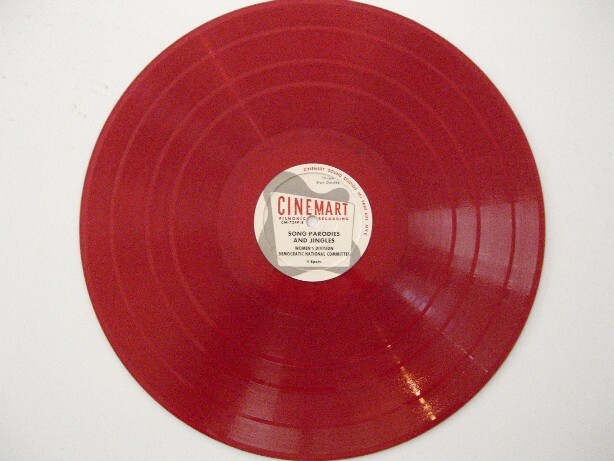 When I was converting this record to MP3 I had that running through my head for days. 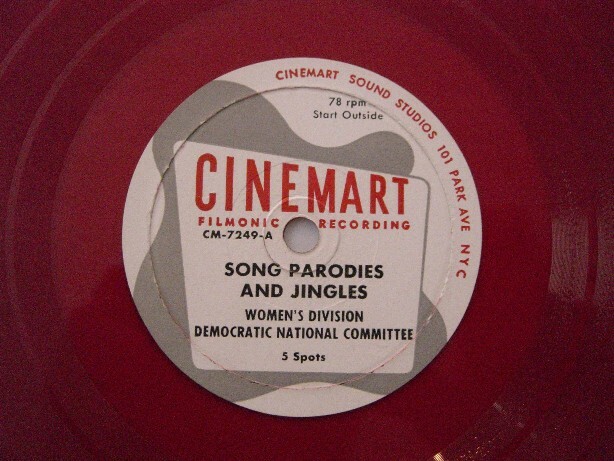 Just to give you an update, As of Jan 2010 both of these records are now located in the Political Division of the Smithsonian Library.